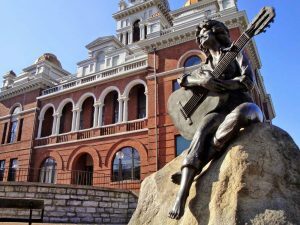 Named after John Sevier, the first governor of Tennessee, Sevierville is proud to be the eighth oldest town in the state and the largest city in the county. The city boasts a Heritage Museum, located in the historic downtown area, and a one-mile Riverwalk along the banks of the Little Pigeon River. While capturing the natural beauty of the surrounding landscape, this modern mountain town offers a diverse selection of real estate options that is sure to please even the most discerning of tastes. Once farmland, the City of Sevierville is now an urban metropolis and suburban paradise with residential properties ranging from the cozy condo to the sprawling estate. The City of Sevierville, along with Gatlinburg and Pigeon Forge, is served by the Sevier County School System. Not only is the school system excellent in the city and surrounding residential communities, but the City of Sevierville has been given the honor of having one of the best Park & Recreation systems in the State of Tennessee. The city has also received awards for various achievements and provides its residents with a community center, civic center, numerous parks and greenway program. Sevierville was founded in 1795 and later incorporated in 1901. One of the more charming aspects of the city is the Trolley system that serves the area on two trolley routes, one extending into Pigeon Forge. Not only does Sevierville offer quaint transportation in the form of the Trolley system, but residents and visitors take advantage of such modern conveniences such as the Gatlinburg-Pigeon Forge Airport. 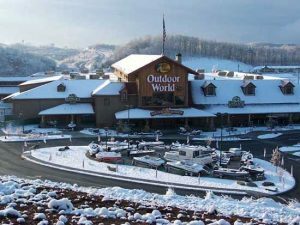 Sevierville is conveniently located near I-40 and the entrance to the Great Smoky Mountains National Park, the most visited park in our great nation. — The Smoky Mountain Springfest with mountain wildflowers galore. — The Sevierville Visitor Centers Community Easter Egg Hunt. — The Sevierville Annual Bloominâ€™ Barbeque & Bluegrass Festival, the largest event in Sevierville and featuring the Tennessee State Championship Barbeque Cook-Off! — The Smoky Mountain Harvest Festival showcases the breathtaking fall foliage surrounding Sevierville and Sevier County. — The Smoky Mountain Winterfest lights up the mountains and communities of Sevierville, Pigeon Forge and Gatlinburg with millions of sparkling holiday lights. — And the favorite with kids is when Santa comes to town during the Sevierville Annual Christmas Parade, celebrating over 44 years! And these are only a few of the reasons why residents love living in the great City of Sevierville. If festivals celebrating life in Sevierville are not reason enough, the vistas surrounding the city and the recreational options they provide are another reason to call Sevierville home. Residents in Sevierville can enjoy golfing, fishing in Douglas Lake, hiking on more than 650 miles of trails, and camping in the untouched forests around the city. Horseback riding and canoeing along the French Broad River are action-packed options for a great day in Sevierville. Other forms of recreation are scattered throughout the city including shopping, dining, theaters and museums, just to name a few. Sevierville, Tennessee offers the finest choices in residential living including urban condos, rural country homesteads, private gated communities, lakefront homes, golf course homes, affordable single family houses, mountain chalets all with modern amenities and conveniences homebuyers are searching for to make a house the perfect home. Sevierville has it all, and more! Kodak, Tennessee is conveniently located just off I-40 on Hwy 139, north of Sevierville in Sevier County. Homeowners in Kodak enjoy low county taxes, exceptional private and public schools, excellent healthcare and easy access to all of the attractions of Pigeon Forge, Sevierville and Gatlinburg. The Great Smoky Mountains National Park is only a short and scenic drive away through the rural countryside. Kodak is the official hometown on the Southern Leagues Tennessee Smokies Baseball Club, an AA affiliate of the Chicago Cubs. Along with baseball, residents of Kodak are music fans. One of the most popular celebrations in Kodak is the Annual Dumplin Valley Bluegrass Festival. Southern cooking enthusiasts will enjoy a visit to the Lodge Cast Iron Store, the oldest family-owned manufacturer of heirloom cookware in the U.S. Every southerner knows cast iron is the only way to cook! Kodak is also the proud home of the River Islands Golf Club and Golf Course, which was designed by architect Arthur Hills. This unique course traverses the French Broad River many times, runs along its borders and even has utilized river islands for play. The River Islands Golf Course in Kodak has received the prestigious 4-star rating from Golf Digest. For golfing enthusiasts and homebuyers in the Kodak community, this is a one-of-a-kind amenity. Students in the Kodak area attend the Sevier County School System, which provides a strenuous curriculum to successfully teach these leaders of tomorrow. The affordable single family homes, convenient access to I-40, and relaxing lifestyle of Kodak are sure to please homebuyers who wish to live in the beautiful rolling hillsides of the eastern Tennessee Valleys. Jones Cove, Tennessee is an area in the City of Sevierville, nestled off Interstate 40 in the eastern most section of Sevier County. As a large valley between English Mountain and Webb Mountain, Jones Coves rolling countryside is the perfect American backdrop for the rural mountain farmer, or those just wishing to escape to the serenity of the Tennessee valleys. Located on Road 339 near Cosby in Cocke County, Jones Cove was originally settled in the early 1700s by John Jones and his family members. The community is adjacent to the Great Smoky Mountains National Park and has retained the breathtaking natural beauty of the surrounding landscape. The schools serving the Jones Cove residents are Jones Cove Elementary, Jones Cove Middle, and Sevier County High School or Gatlinburg-Pittman High School. Tucked away from nearby attractions, Jones Cove homes for sale range from modest single family homes to mountain retreats with acreage, homes with spectacular views, rural farmland, building lots, and more elaborate estate homes in upscale gated communities. Jones Cove, Tennessee offers homebuyers a variety of options for all tastes and budgets.